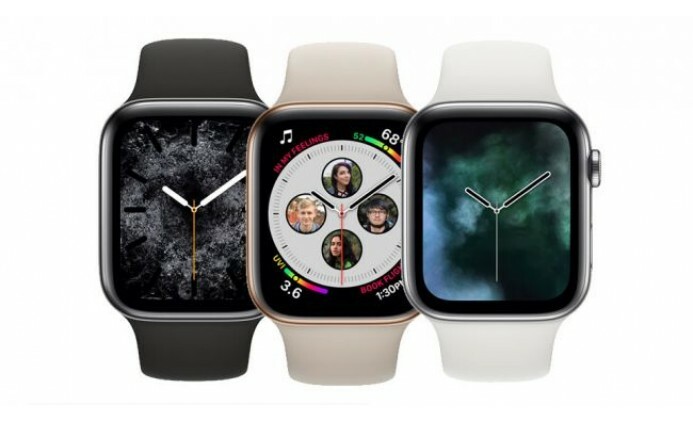 Despite the ongoing clamour from Apple Watch fans for a round display, the newest iteration, the Apple Watch Series 4, is back in the classic square shape sported by all previous generations. Fans will, however, be granted their second most popular request, a larger display. The Watch sizes will increase by 2mm over the Watch 3’s variants, up to 40mm and 42mm, and like the new iPhones, the bezel will shrink to be replaced by display, resulting in a 30% bigger screen than the Watch 3, likely to be a popular upgrade with many. Both 40 and 42mm sizes will be available in GPS-only or GPS-plus-cellular versions, and have the option of an aluminium or stainless steel casing, and Gold, Silver, or Space Grey hues. GPS-only models start from AU$599 and cellular from AU$749, while the Watch 3 starts at AU$279, so it’s a significant step up in price. All current Watch straps will fit the new model. In terms of new features, well, there aren’t that many. Most of the changes are upgrades to already existing features, such as a 50% louder speaker, a new S4 chip and 64-bit processor to speed things up, a ceramic and crystal rear housing to boost cellular reception and 18 hours of battery life. However, the few really new additions are pretty good ones. The digital crown now has haptic feedback and an audible “click” when turned, making navigation smoother. In addition to the usual heart-rate functionality, there’s also ECG capability and Watch 4 can now detect any irregularities in the wearer’s heart rhythms, such as an impending heart attack. A new gyroscope and accelerometer can detect falls, and if the wearer doesn’t move within a minute of the fall, Watch 4 will notify emergency services. Although some of these latter features are expected to initially be limited to the US on launch, it will be interesting to see if this results in a boost in sales to children with elderly parents, or if the price point will be too prohibitive.